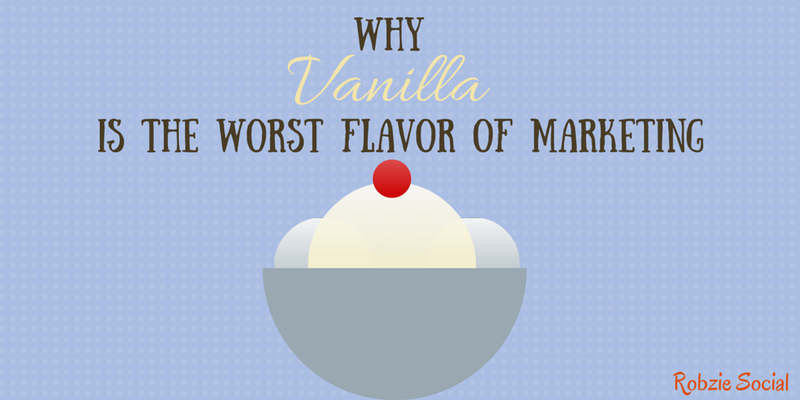 Maybe you love vanilla ice cream, or vanilla pudding, but no one likes vanilla content. To make an impact among the overly crowded digital marketing space, you need to do something to stand out. You have to take a position. You must offer helpful information while not turning your content into a snooze-fest lecture. With the concept of Content Shock looming over all of us marketers, you have to write something worth reading. Embrace a deep, rich, and possibly darker side of content. Piss someone off, start an argument, take a stand. But be willing to back up your argument with informed points and a reasoned point-of-view. Don’t just troll the world. In Jay Baer’s “Jay Today” video series, he goes on some pretty serious rants—calling marketing and service mediocrity where he sees it. Some people may disagree with him on some points, and that’s ok. His definitive, and sometimes angry, perspective is visceral and real. People remember it and share it if they relate to it. Do you have a viewpoint in opposition to the status quo? Talk about it! I did in this guest post, and things got pretty hairy, but I stood by my points and even helped some people in the process. My choice would be salted caramel, but you do you. Ahem, I digress. Give people definitive takeaways and sharable tidbits in your content that they just can’t help but share with their friends and followers. For example, provide a click-to-tweet takeaway image (like above) that makes sharing those points seamless (something else Jay Baer does really well with his Social Pros podcasts). Try putting some key takeaways in bullet points to visually sum up what the reader should get out of a post. Before you hit publish, seriously ask yourself, “What exactly will someone reading this post/article/blog get out of it?” If the answer isn’t clear, fix it. What’s better than regular ice cream? A sundae. Don’t be afraid to mix up your content. Slap on some toppings, mix up some flavors, and create a tantalizing piece of content people can’t help but share. Here are some examples of how you can incorporate different media to see what resonates with different audiences. Embed a slideshare in a blog post to reinforce the points you’re making. 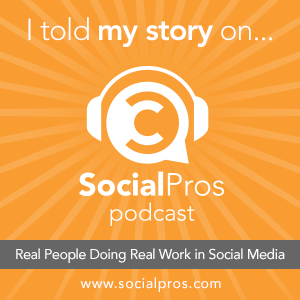 Record a video clip to break down a complicated concept rather than writing a long-form post. Try embedding tweets surrounding a hot topic you’re discussing to show its relevancy and highlight important points-of-view. Your content has to have some character, something uniquely you. There are likely other posts in the world on the same topic you’re writing about, so what makes yours different? Admit it, you totally want some ice cream now, don’t you? Sorry about that. Next Next post: Do you wanna hear a podcaaaaast? What’s Trending for 2017? Look to Snapchat.